Andrew Valuikas’s journey started in the small town of Eden, Maryland. It soon took a turn west for Chandler when his father’s job relocated Valuikas and his family out to the Valley of the Sun’s budding suburban city. A couple years after the move, Valuikas attended Chandler High School where a passion for wrestling developed. The hours after school were dedicated to practicing this strategic combat sport under the coaching staff of Vidal Mejia and Curtis Owen. As he improved, Valuikas realized that the experiences during his time wrestling allowed him to take on challenges brought on by tough practices and determined opponents. After Valuikas graduated from Chandler High, he attended Mesa Community College focusing on mechanical engineering. He found the endless hours spent in front of a computer to be mundane and unstimulating. So, he changed his major to history with the goal of becoming a professor. However, he soon discovered that most people do not take the same interest in learning about the subject he found to be so intriguing. Again, Valuikas went back to the drawing board. 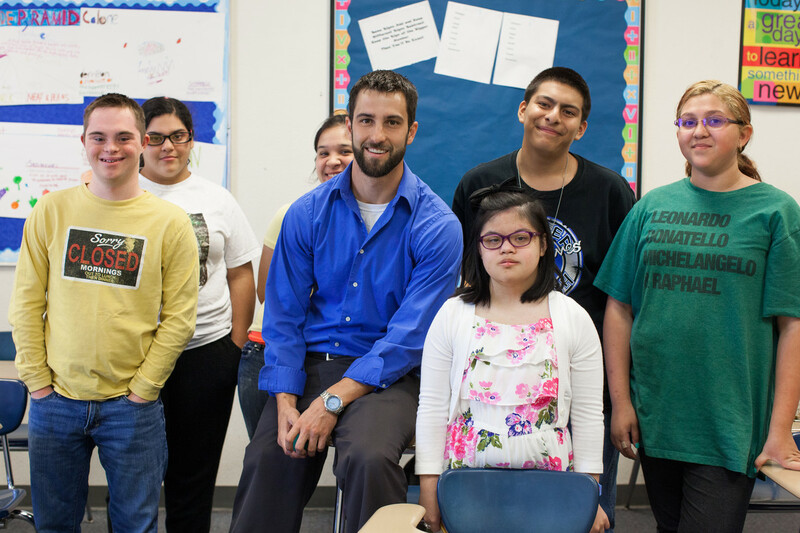 He remembered a class he took at MCC where he observed a special education classroom. That was it. 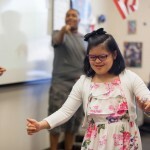 Valuikas entered the College of Education at Arizona State University and the rest is – well – Special Education. After his graduation from ASU, the stars aligned once again. 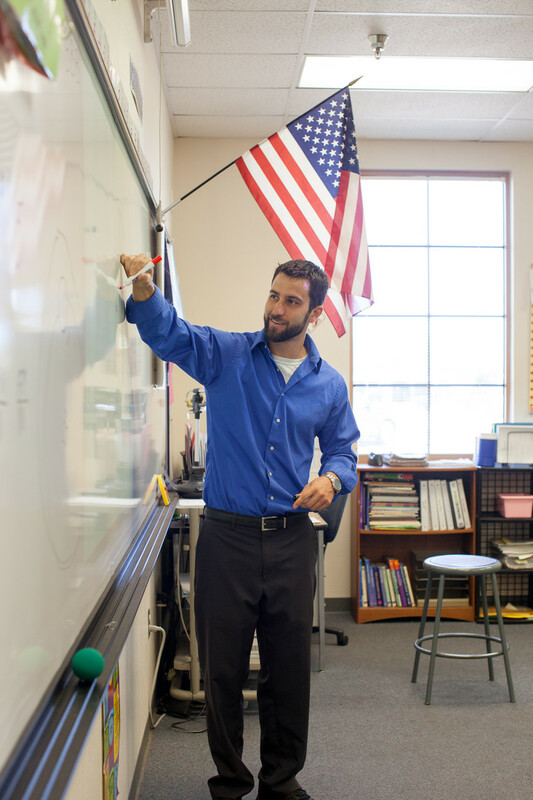 Valuikas found a vacant student teaching position that he was able to fill at Chandler High. There he met mentor, Jessica Peacock, who is now his co-worker. During this time, Valuikas began volunteering for the Special Olympics. His goal was to make it possible for students to interact with the community as much as possible. As sports had played such an integral part in his life growing up, he wanted to share that joy with his students. 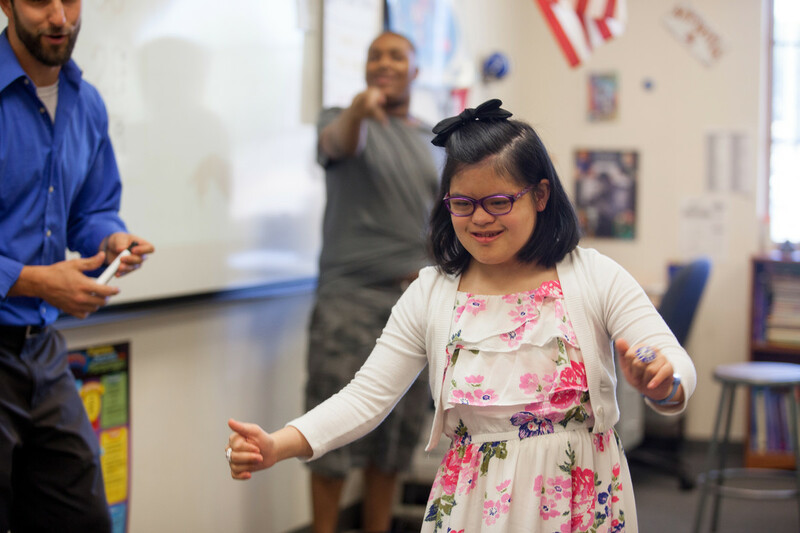 Valuikas’s support for the Special Olympics has progressed over the years and he currently coaches the Chandler High School freshman team beside his former coaches, Mejia and Owen. 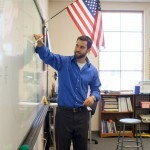 While continuing to teach and coach, Valuikas was able to earn his master’s degree in education from Grand Canyon University in April of 2014. Valuikas’s goals are nothing short of inspiring. 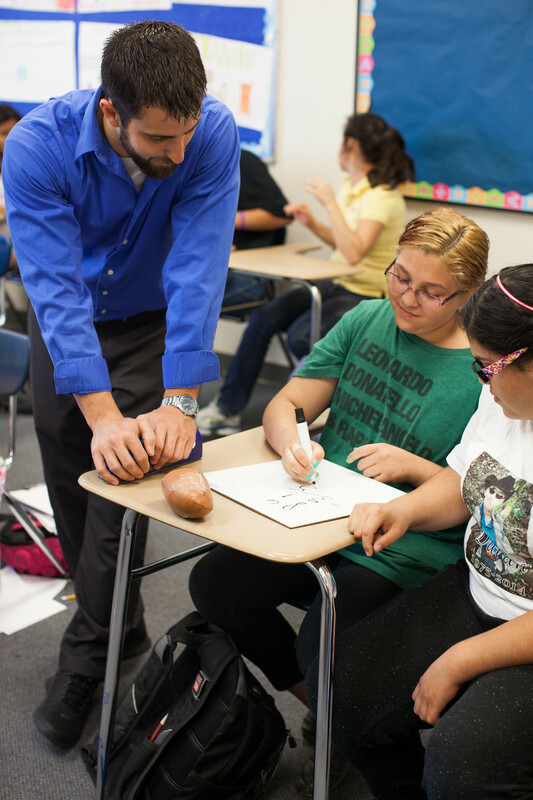 He says his greatest joy in his job is being able to see the growth of the students both academically and socially. “It is amazing to watch these kids shine when they are held to high expectations like everyone else their age,” he says. The Chandler community is fortunate to have such a dedicated teacher guiding its students. Our journeys do not always unfold the way we plan them to, but sometimes, like in Andrew Valuikas’s case, they take us to exactly where we were meant to be. Andrew Valuikas enjoys spending his free time with his 1-year-old son and his wife, Ashley.